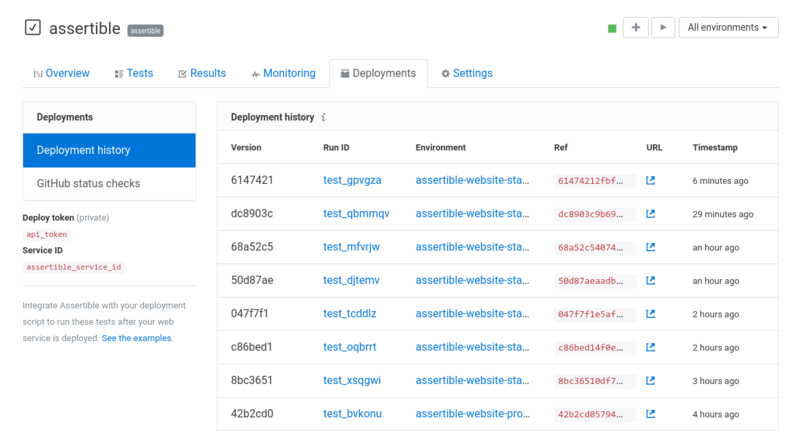 Gain confidence in critical infrastructure by using Assertible's automated QA tools to test and monitor your web services across deployments and environments. 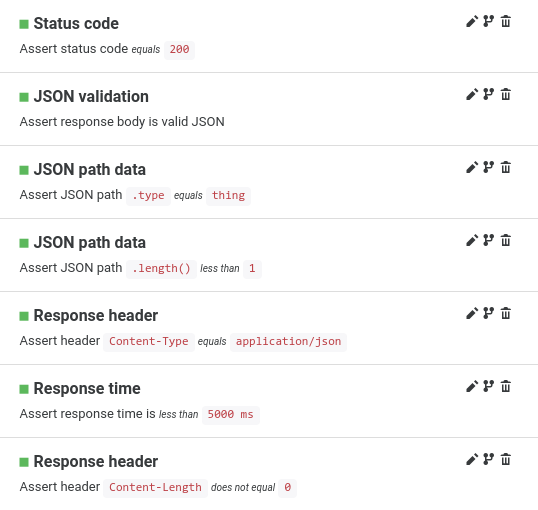 Assertible provides a reliable first line of defense against web service failures by providing simple and powerful assertions to test and monitor your APIs and websites. Lower the number of false positives in your automated QA tests and be confident your APIs are healthy. 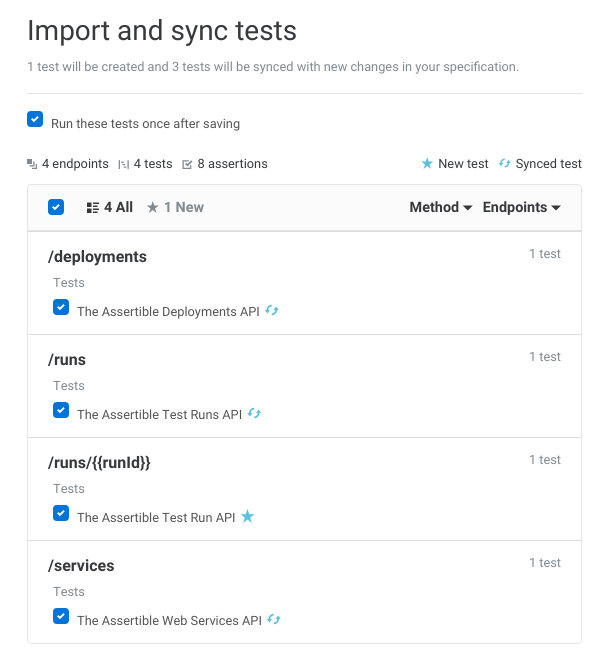 Keeping your tests up to date can be a burden, but with Assertible you can automatically sync your API tests with the latest changes in your specification. 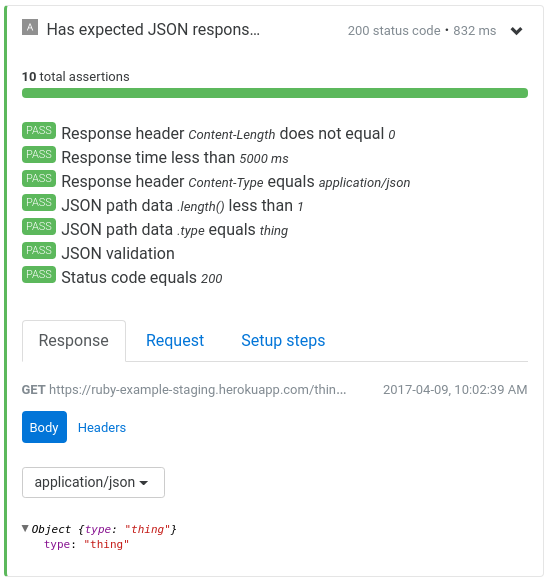 As you add and update responses, parameters, headers, and more, updating your Assertible API tests is as easy as clicking sync. 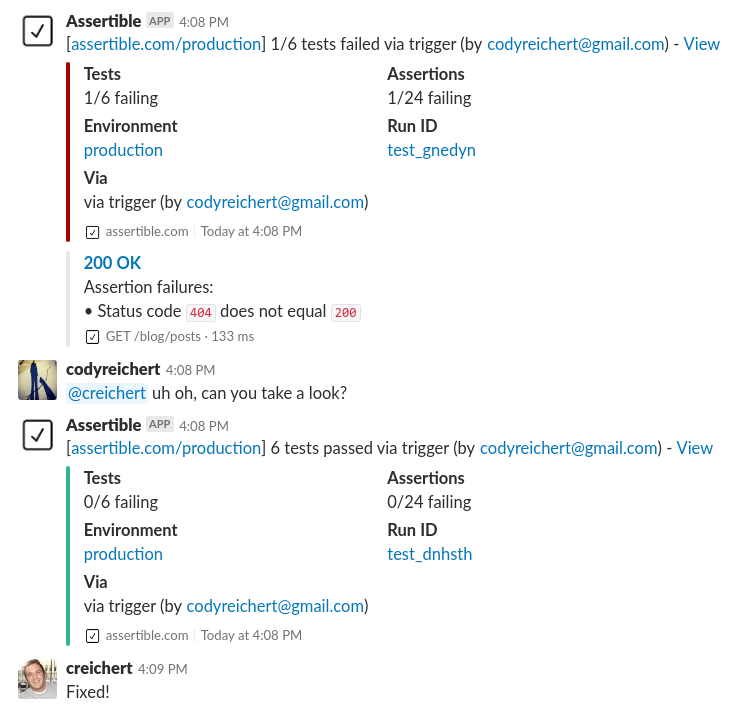 Assertible integrates with the tools you're already using and lets you do things like execute your web app tests when you push code to GitHub, or send alerts to Slack if failures happen. The Assertible integrations help you build a dependable web application monitoring workflow that gives you control of your tests and alerts. Gain high level insight into your web application's health, any failing assertions, and problematic endpoints. 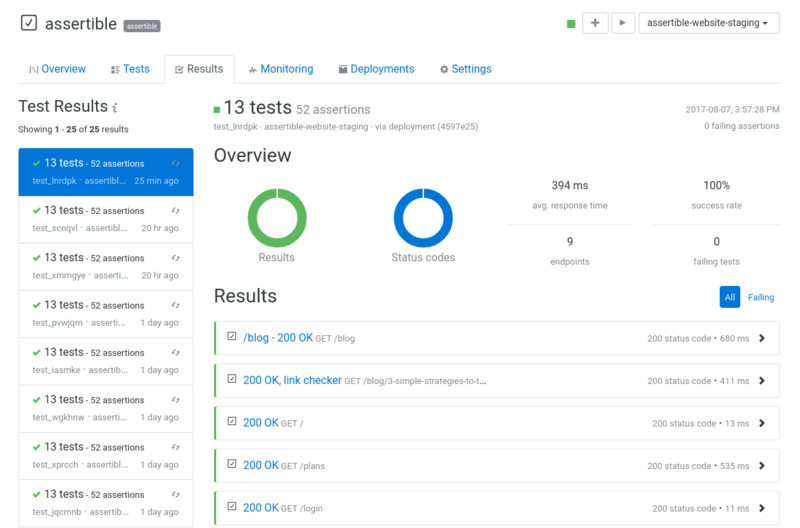 Track your web service's deployments to automatically run the same tests across staging and production environments. 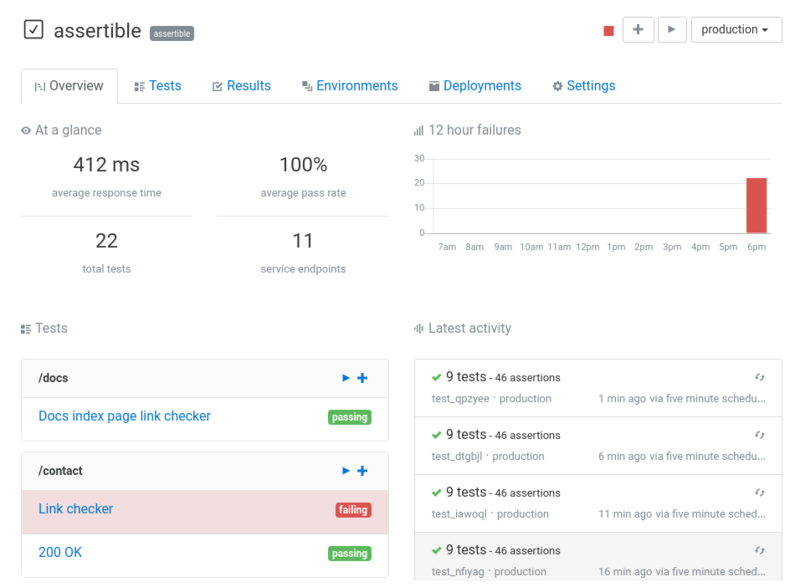 Set up scheduled monitoring to continuously test your services, and customize how you're alerted of failures. Consistency in your automated tests is the key to reducing bugs in your web applications. 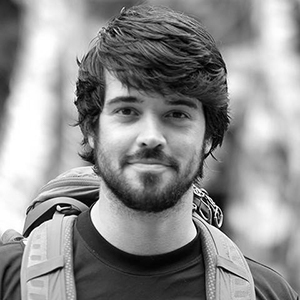 With Assertible, you can run your API tests against any environment, like staging orproduction. "We’ve enjoyed using Assertible so far. At first we just had a script that’d hit a bunch of our RPC endpoints, but the way you’ve designed the assertion configurator is really cool. So thanks for building a great service and making our lives easier." 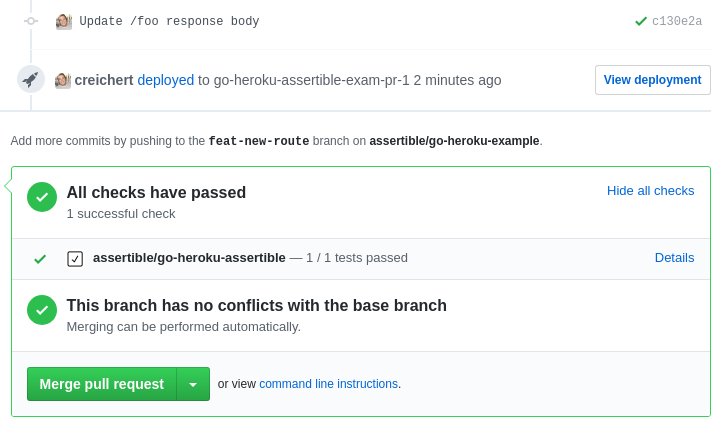 Track your application's deployments with Assertible to automatically execute post-deploy smoke tests on staging or production. Don't spend time manually testing new changes - use Assertible. You need more than just a pass or fail status to know if your API or web application is working as expected. Assertible's powerful and robust HTTP assertions allow you to create domain specific tests, so when something goes wrong -- you'll be the first to know. You can use Assertible for free and upgrade to a paid plan at any time.